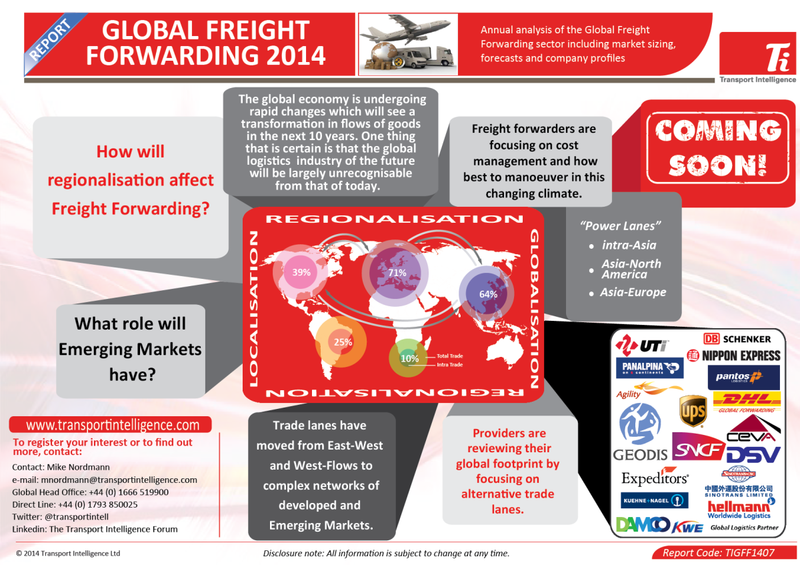 Global Supply Chain Insights: Global Freight Forwarding report publishing soon! Global Freight Forwarding report publishing soon! That's right. Ti's Global Freight Forwarding report will be published July 31. The Ti team, led by the wonderful Lilith, is putting the finishing touches on the report - formatting charts, proofing etc. What's next? well, Thomas is at work on the Global Automotive Logistics report and I'll be planning the Asia Pacific Logistics report this coming week. I also a few other things to take care of such as updating Dashboard charts, making sure some customers are doing ok and contact some folks that may like to speak at our conference in Singapore (scheduled for October). With that, enjoy the week ahead and thanks for reading!